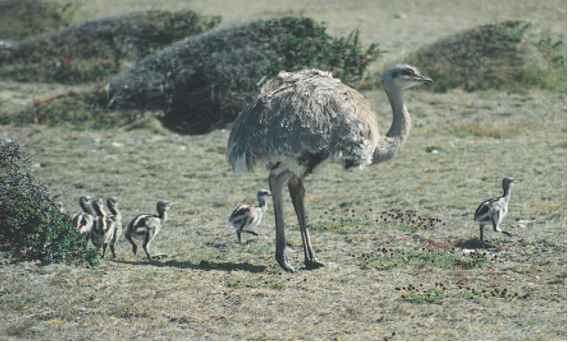 In the Caprimulgiformes order, some family names reflect the relationship between birds and people. Nightjars have been called "goatsuckers" because people believed that the nocturnal birds flew down and sucked the milk from goats and cows. When animals died, people mistakenly blamed the birds. However, nightjars do not drink milk. The name "nightjar" comes from Europe. The bird's loud call can last several minutes. Since birds are nocturnal, their noise "jarred" or startled sleeping people and woke them up. Furthermore, oilbirds received their names because the birds eat fruit containing oil and fat. In the past, people captured the birds and boiled them to collect the oil. They used the oil for cooking or as fuel to light their lamps. Now people are interested in observing oil-birds. People visit caves where these unique birds roost during the day. Oilbirds move safely in dark caves by making clicking sounds. The birds listen to the echoes made when the sounds bounce off surfaces like cave walls. Oilbirds know to fly away from the echoes or they will crash into something. The guiding process oilbirds use is called echolocation. Bats, porpoises, and whales also use echolocation.